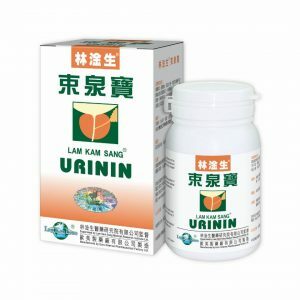 Lam Kam Sang MELASIN effectively promotes the blood circulation and metabolism of the body, improves the body health and thoroughly decomposes the facial and body melanin or spots, enables the skin to maintain its original smoothness and natural cleanliness without causing any side effect. No other products of the similar kind can be comparable to the outstanding effect of Lam Kam Sang MELASIN. Flos Albiziae, Radix Astragali, Fructus Ligustri Lucidi, Herba Dendrobii, Radix Salviae Miltiorrhizae, Margarita etc. 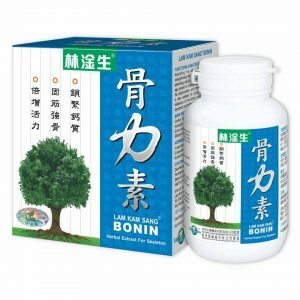 Every capsule of Lam Kam Sang BONIN contains 500 mg extract of the above Chinese medicines. 1. Diminish blackish complexion or chloasma caused by long-term depression and tiredness or deficiency of vital energy and blood. 2. Chloasma occurs during pregnancy. 3. Solar spots caused by sunburn. 4. Freckle, if not from heredity. 7. Congenital or after-birth coloring of skin. 8. Facial spots caused by pimple, inflammation of hair-follicle, eczema and sensitive skin. 9. Chloasma caused by taking of oral contraceptive. 1. For congenital or after-birth coloring of skin, improvement is attained after 15-30 days and the reborn rate of the skin is over 80% after 90 days of treatment. 2. For diminish blackish complexion or chloasma caused by long-term depression and tiredness or deficiency of vital energy and blood, improvement is attained in 10-20 days of treatment and the skin becomes tender and smooth after 90 days of treatment. 3. For facial spots caused by pimples, inflammation of hair-follicle, eczema and sensitive skin, improvement is attained in 10-15 days of treatment; for mild and short-term cases, 30-60 days of treatment is required; for serious and long-term cases, the spots can be obviously reduced or totally disappeared in 60-90 days of treatment. 4. For chloasma caused by taking of oral contraceptive, improvement is attained in 30 days, and the spots can be obviously reduced or totally disappeared in 60-90 days of treatment. 5. For chloasma occurs during pregnancy, improvement is attained in 15-30 days of treatment; for mild and short-term cases, 30-60 days of treatment is required; for serious and long-term cases, the melanin can be obviously reduced or totally disappeared in 60-90 days of treatment. 6. For freckle, if not from heredity, improvement is attained in 20-30 days, and the freckles can be obviously reduced or totally vanished in 60-90 days of treatment. 7. For solar lentigines caused by sunburn, taking MELASIN immediately for 10-20 days can effectively eliminate the spots; for long-term cases, improvement is attained in 20-30 days, and the spots can be obviously reduced or totally vanished in 60-90 days of treatment. 8. For lentigo, improvement is attained in 15-30 days of treatment. The marks can be obviously reduced or totally disappeared if MELASIN is taken continuously for a period of time. 9. For dark circles, improvement is attained 5-15 days of treatment and obvious improvement can be achieved in 30-60 days. The above “Instruction of Treatment” is based on the valuable experience collected by long-term clinical practice. 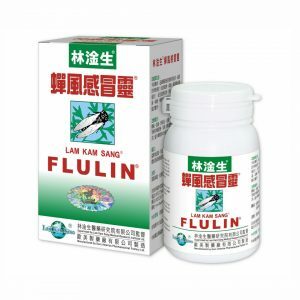 Due to the existing of different factors such as the degrees in physical health, living environment, life styles and the influence of various diseases etc., the effectiveness of MELASIN for individual patient may be varied. 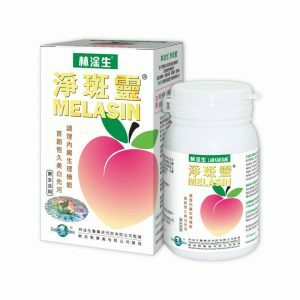 If the melanin is not totally disappeared after the suggested courses of treatment, you are encouraged to take MELASIN patiently and continuously until recovery. Miss Chan, 32 years old. She had dry skin since childhood, and in the recent years, she had been suffering from rough, dry and dirty skin all over the body, with chloasma covering the forehead, cheeks, and gill. Her belly was like covering with a layer of dust and not appealing. She lost all her confidence and dared not mention about marriage. After taking Lam Kam Sang® MELASIN for 30 days, her facial colour & skin texture were greatly mended; black spots and chloasma were obviously lightened. After taking the treatment for 150 days, Ruddy complexion reappeared again all over the body and the chloasma disappeared completely. Her eyes are full of spirit and she is happy to regain her youth and energy. Ms. Chung, 43 years old. Due to long term hard working, her skin became aging with plenty of black spots, dark circles over her eyes and she was extremely fatigue. She was very worry about her facial appearance and she started to take Lam Kam Sang® MELASIN two years ago. After 10 days of treatment, she felt improvement in her facial colour and spirit, and after 30 days, her skin and facial colour were obviously improved, the black spots were lightened and the facial wrinkles were reduced. She took the treatment for a total of 90 days and the chloasma was reduced by 60%, dark circles disappeared and she was energetic. She treated Lam Kam Sang® MELASIN as her daily health food and has been taking it until present. The black spots no longer exist and she looks much younger and beautiful. Ms Lee, 28 years old. In the early stage of her second pregnancy two years ago, light black spots started to appear on her face. One year after the birth of her baby, the spots still existed and even turned darker gradually. She had been looking for an effective way to get rid of the spots since then. Recently, she was recommended by her brother and ordered three bottles of Lam Kam Sang® MELASIN for a trial. After taking two bottles, her sleeping quality and vitality were improved, and the dark spots were obviously lightened. She asked her friend to purchase several bottles for her and she is very content about the treatment effect. Ms Lee has been taking Lam Kam Sang® MELASIN up to the present and all her facial spots were no longer exist. 4 capsules for aged 16 or over, 2-3 capsules for aged 8-15. 3 times a day for clearing the spots, 2-3 times a day for health caring. 1. Patient should strictly follow the daily dosages instruction treatment period for achieving best result. 2. 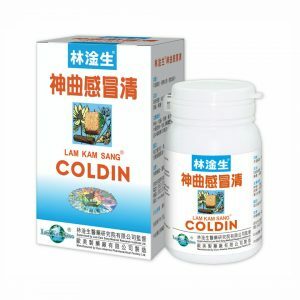 Stop taking Lam Kam Sang® MELASIN temporarily when having fever, cold or acute bacterial infections. 3. Avoid stay up late; rest normally; avoid frustration, depression and maintain an open and clear mood. 4. Maintain even nutrition, clean and healthy foods.